Precipitation projections for the Pacific Northwest don’t share the same level of certainty, or confidence, as temperature projections. Unlike temperature projections, there isn’t a consensus that our region will become either notably wetter or drier under human-caused climate change. What the climate models do suggest, taken together, is that annual precipitation might stay about the same or become slightly wetter (a small majority of models say wetter, some say drier). At the same time, our region’s summers might become slightly drier while our winters might become slightly wetter. Annual Precipitation: Under climate change, total yearly precipitation in the Pacific Northwest is not expected to deviate significantly from its current pattern, according to our RISA Team’s analysis. This means natural climate variability is expected to continue to play a large role in how much precipitation the Pacific Northwest receives on a yearly basis (Rupp, et al. 2016, adapted). Seasonal Precipitation: The Pacific Northwest’s already wet winters might become slightly wetter and its already dry summers might become slightly drier as the region’s climate continues to change, according our analysis (Rupp, et al. 2016, adapted). Journal of Climate 27, no. 5 (2014): 2125-2142. Rupp, David E., John T. Abatzoglou, Katherine C. Hegewisch, and Philip W. Mote. “Evaluation of CMIP5 20th Century Climate Simulations for the Paci c Northwest USA.” Journal of Geophysical Research: Atmospheres 118, no. 19 (2013). https://doi.org/10.1002/jgrd.50843. Rupp, David E., John T. Abatzoglou, and Philip W. Mote. “Projections of 21st Century Climate of the Columbia River Basin.” Climate Dynamics (2016): 1-17. https://doi.org/10.1007/s00382-016-3418-7. Gilles, Nathan G., Josh Foster, Meghan M. Dalton, Philip W. Mote, David E. Rupp, John Stevenson, Katherine A. Serafin, Janan Evans-Wilent, Peter Ruggiero, John T. Abatzoglou, Timothy J. Sheehan, Katherine C. Hegewisch, Denise H. Lach, Jessica Andrepont, and Kathie D. Dello. Responding to Climate Variability and Change in the Pacific Northwest United States: the Pacific Northwest Climate Impacts Research Consortium, September 2010–August 2017 Phase 1 Final Report. 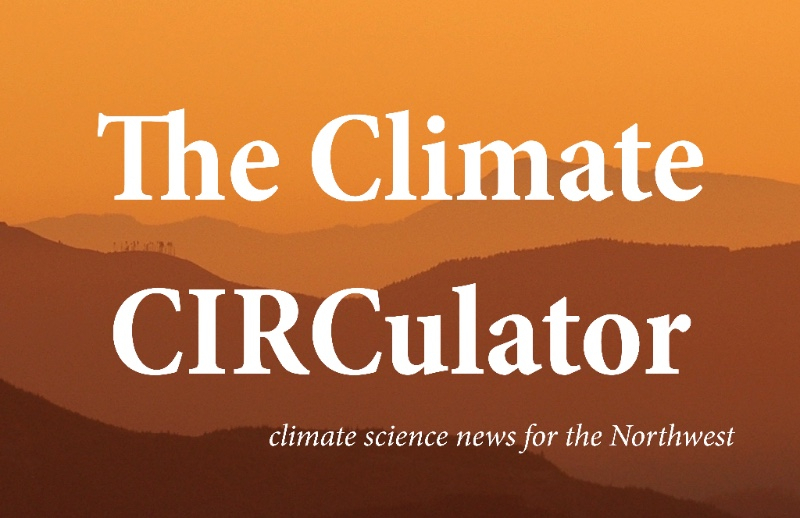 the Pacific Northwest Climate Impacts Research Consortium (CIRC), a NOAA RISA team. Corvallis, Oregon: College of Earth, Ocean, and Atmospheric Sciences, Oregon State University, 2017.